I needed a new bed AND dresser for my son’s room. 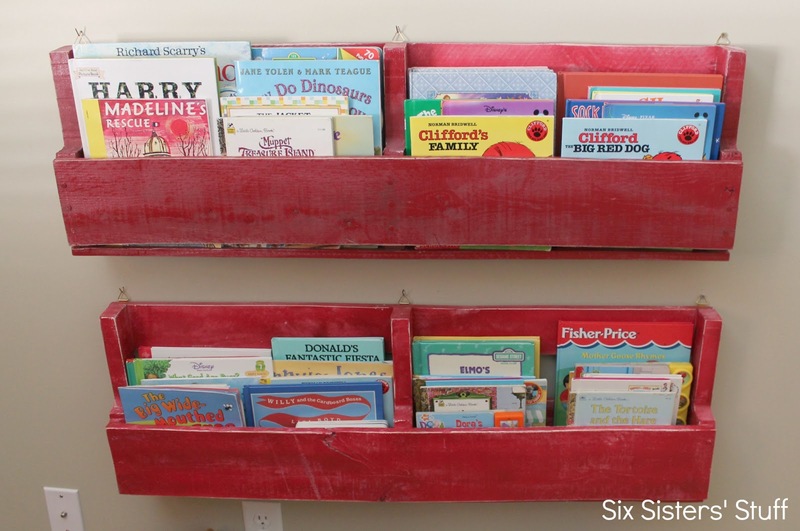 When I need bigger pieces of furniture like this, my first stop is always DownEast Home and Clothing! The have stores in Arizona, California, Colorado, Idaho, Nevada, Utah, Washington and Wyoming. They sell their clothing online (which is SO cute), but you have to purchase furniture at the store. They have a lot of huge name brand clothes and furniture and sell them at a discounted price. I found this gorgeous bed at DownEast Home for….$99 (regularly $799)! What a steal! It also is a platform bed, so I didn’t need a box spring. I bought the mattress from Sam’s Club for $99. I found the Plaid Quilt Set from Target for $69.99. I had looked for similar bedding and this was the best price I found. The quilt came with one matching sham. 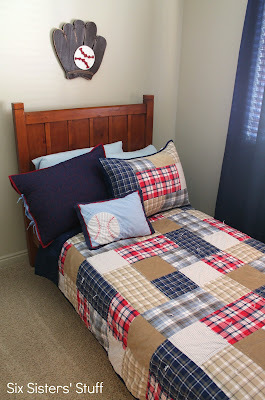 I found the blue and red star sham and baseball sham (originally from Pottery Barn Kids) at DownEast Home for $1 each! I bought the sheets and blanket for the bed at WalMart for $30. I wasn’t able to find a matching dresser there, so I headed over to Deseret Industries to find one. Deseret Industries is a second hand thrift store with locations all over the nation. I was initially going to find a dresser and fix it up, but with not a lot of time, I decided I would just purchase one that was ready to go. Deseret Industries has a line of new furniture called The Homestead Collection. It is all solid wood and comes put together. It was the best price I could find on a new, solid wood dresser and I got it for $229! I found the lamp at Deseret Industries for $2 and got a new shade from WalMart for $7. My mother-in-law gave me the cork board and I spray painted the wood edge red. I ordered the mini baseball pennants on eBay for $1.95 each. I found the piggy bank at Target in the clearance section for $9. The wooden football (originally from Pottery Barn Kids) is from DownEast Home and Clothing and I got it for $4 a little over a year ago. I found the baseball frame from Deseret Industries for $1. 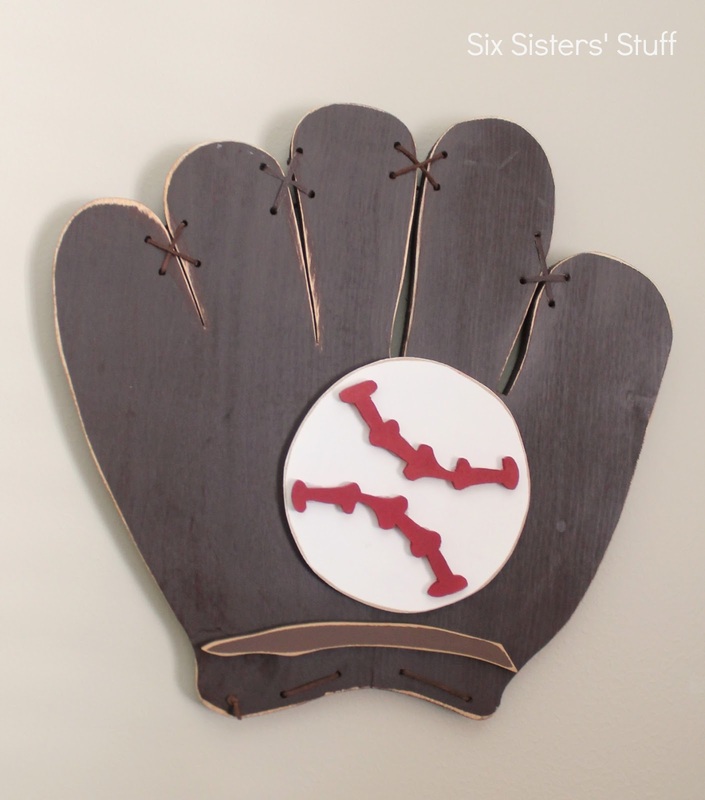 I bought this wood baseball mitt decoration from Wood Creations a few years ago and decided to hang it up. 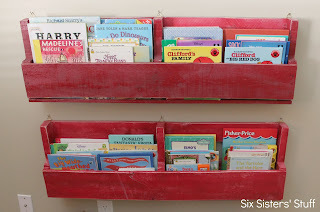 I made these pallet bookshelves from a free pallet I found. You can find the tutorial, here! for $5 each. 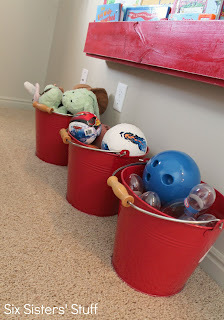 I thought it was a great way to store extra toys! 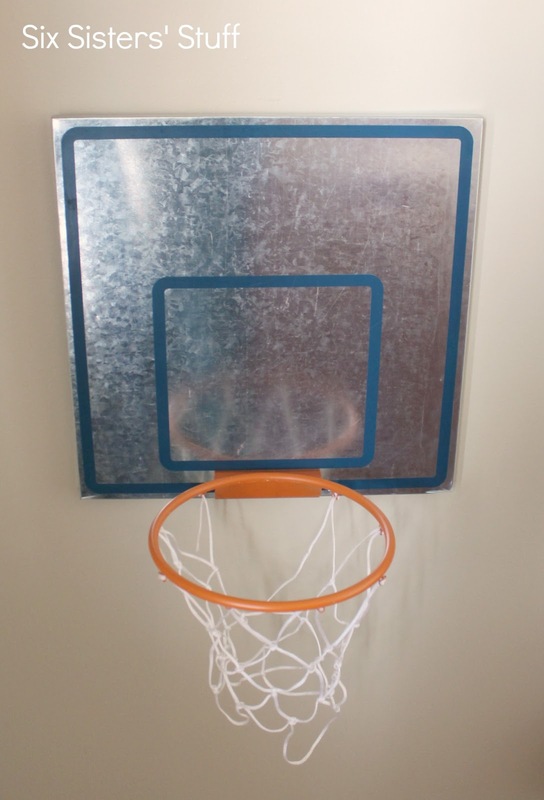 While at DownEast Home, I came across this darling basketball hoop (originally from Pottery Barn Kids) for $6! I bought the curtain rod from WalMart for $12 and the curtains for $16 a few years ago. Not amazingly cheap, but definitely cheaper than what I would have spent anywhere else to decorate and furnish a whole room! I was able to do it all for under the original price of the bed! Not even my husband can complain about that! If you were looking to cut back, I would definitely find a local thrift store and find your bigger pieces of furniture there. 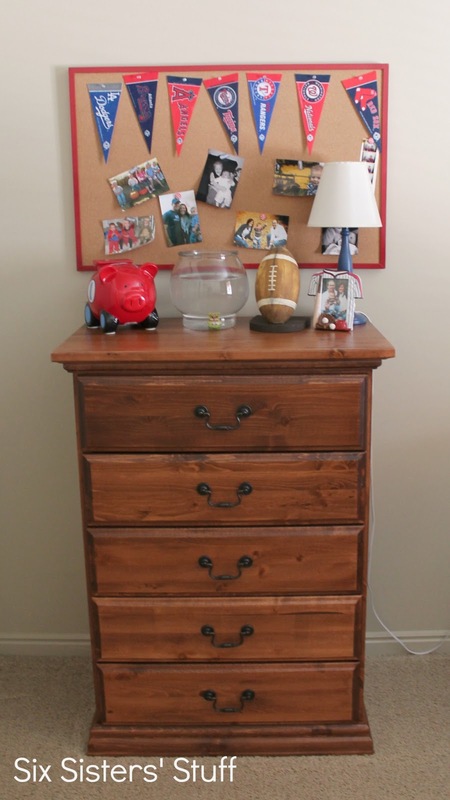 The dresser is what made furnishing this room more expensive. 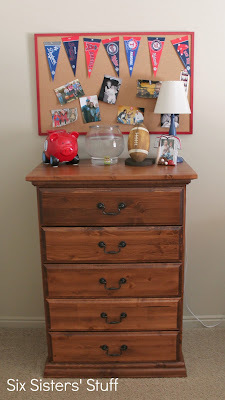 If I had more time, I would have refinished a dresser and possibly a bed to save a little more money! 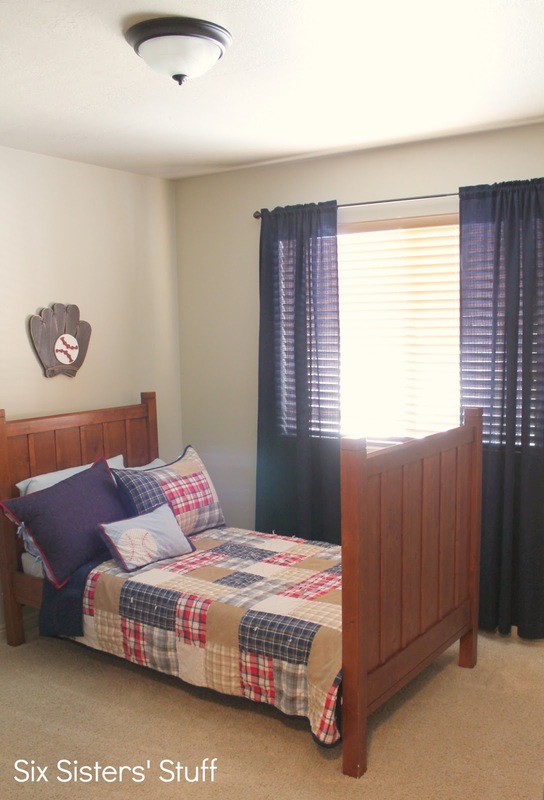 Your little boy's room is adorable!! I think you did a great job with the budget. I wish we had some of the stores you mentioned. They certainly have good bargains! He look adorable giving the camera the thumbs up! What a creative way to decorate his room! I love the whole thing! The best part is that it's not too toddler-ish, and he can really grow into it and enjoy it for quite a few years. Great job! The room is adorable and so is he! !